And another south of Fo Tan station. 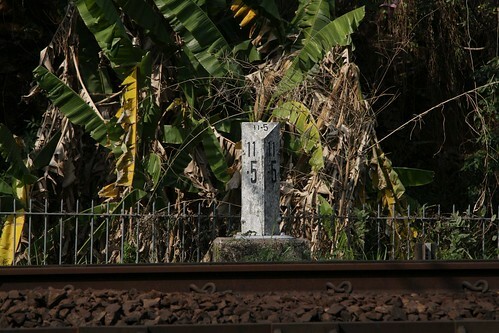 The East Rail line is approximately 34 kilometres in length, with mileposts found every 500 metres. Distances are measured from Hung Hom Station. 18 kilometres + 598 metres from Hung Hom. 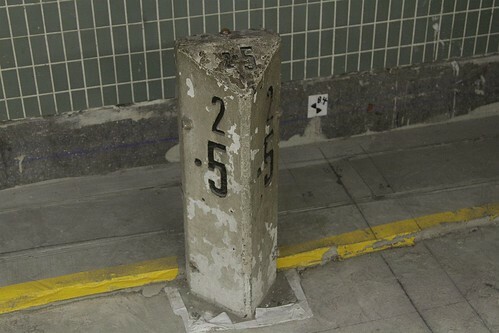 The lowered marked chainage is A0+030 at Hung Hom. The highest marked chainage is L37+471 at Lok Ma Chau Station, and A33+579 at the Shenzhen home signal. Here is a Cantonese language page on road mileposts in Hong Kong. 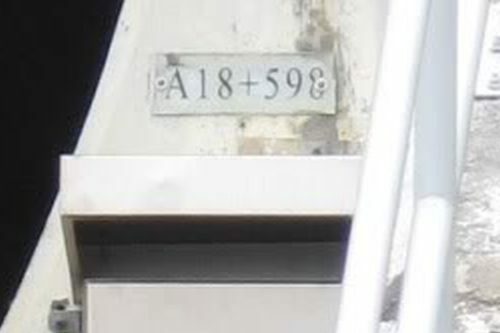 This entry was posted in Transport and tagged East Rail, Hong Kong, KCR, Kowloon Canton Railway, Mass Transit Railway, MTR, rail operations, railway. Bookmark the permalink. That page you included in Footnote is not in Cantonese language, instead it’s Chinese! Cantonese is only a spoken dialect that uses Chinese characters as its written form like many other dialect in China. The other month I had someone tell me that a website I linked to was Cantonese language, not Traditional Chinese – I can’t win!